KARACHI: Pakistan’s first-time premier Imran Khan has set out on a journey to achieve his ambitious 100-day agenda with high stakes and even higher expectations. The much-debated agenda that the ruling Pakistan Tehreek-e-Insaf (PTI) party announced before the July 25 elections included six themes — transforming governance, strengthening the federation, revitalizing economic growth, uplifting agriculture and conserving water, revolutionizing social sector and ensuring national security. More specifically, the 66-year former cricket star also pledged to create 10 million jobs, and facilitate the private sector to build 5 million homes for low-income residents apart from fixing the simmering energy challenge and making multibillion-dollar China-Pakistan Economic Corridor (CPEC) a “game changer”. The nascent premier who took the reins of this South Asian nuclear state a little more than a week ago, seems to be confident and undeterred by criticism on his ambitiousness. But for many, his plans are opaque. Khan’s Cabinet picks has also drawn widespread criticism. A majority of his ministers have already worked twice or thrice in the governments of former military ruler General Pervez Musharraf, Pakistan Muslim League (Nawaz), and Pakistan Peoples Party (PPP) governments. “Achieving this all is not going to an easy task for a novice government as the challenges the country is facing are chronic and complicated,” Dr Kaiser Bengali, a leading Pakistani economist told Anadolu Agency. “Even five years are not enough to overcome these lingering problems. I would be happy if it were a 10-year plan,” he said. One-hundred days, he thought, were not even enough to lay out the policies and plans vis-a-vis accomplishment of the agenda. “The 100-day agenda, in my opinion, should be regarded as mere recommendations, which are not even clear. Therefore, I will wait for at least six months or so to assess where we are heading,” Bengali added. More specifically, he went on to say, this government’s first budget slated for next June would exactly be the right time to assess the progress on much-hyped agenda. Dr Jabbar Khan, an Islamabad-based expert on political economy, shares similar views. “The 100-day plan is overambitious,” he said. “Though the new government’s intentions and beginning are good, however, it is too early to be predicted and projected”, Khan, an author of several books including, “Politics of Corruption” and “The Global Poverty,” told Anadolu Agency. He was referring to the government’s austerity drive that includes curtailment of the perks and privileges of ministers and bureaucrats. “Until, unless, the government comes up with a proper macroeconomic plan, particularly about investment, employment, increasing trade, current account deficit and growing imports, it is premature to predict anything [about the plan] at this stage. It will take some time,” he maintained. Analysts see several government plans as over ambitious but possible. “Creation of jobs and construction of new houses are interconnected. If the housing industry is boosted, it will automatically serve both purposes,” he said. Bengali disagreed with the government’s plan to expand its tax net. Maximum, he said, the government could add 100,000 big and small businessmen into the tax net but not more than that. “The tax-GDP ratio of the manufacturing sector is already 29 per cent,” he added. Unlike previous governments, Khan’s novice government embodies certain advantages, most importantly good relations with the powerful army, which has ruled the country half its history. “Civil-military relationship remained sour during the last five years, which badly affected the government’s functioning. But this is not the scene in case of Imran Khan,” Khan said referring to jailed former premier Nawaz Sharif who blamed a nexus of judiciary and army behind his unceremonious ouster and later conviction in a corruption case. “Secondly, Khan is in a comfortable seat in terms of law and order, which is much better compared to 2013 when Sharif had taken the reins. It will definitely help Khan,”, he said. Also, he added, the energy situation is comparatively better than in 2013. 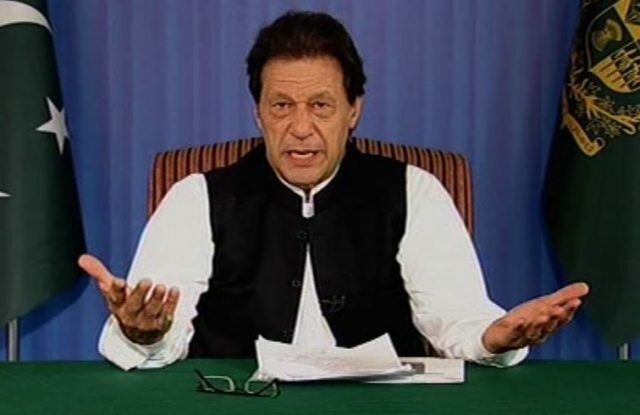 “No doubt, Khan’s agenda is over ambitious but if he manages to translate 20 per cent of his plans into action in [the] next five years, the nation’s direction will be set for a bright future,” Bengali said.